•	State-of-the-art technology and practices. Prospect has implemented the latest technologies and refined printing practices to ensure projects are produced with the best results possible with the latest technologies. •	Environmentally conscious. For years our company has been committed to preserving the environment (click here to view our environmental statement). •	Save time and money. 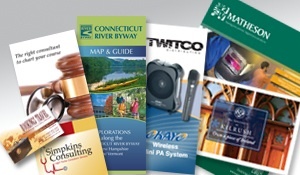 We developed a unique process that integrates the best of digital and offset printing with best practices for design, marketing and mailing services. •	Customer Portals. We offer customized on-line portals for our customers to easily create, and order their companies' materials (business cards, letterhead, brochures, etc.) at their convenience, night or day.